Happy Monday, friends! Is that an oxymoron? Feels like a bit of one, after recovering from Super Bowl Sunday and trying to beat the Monday blues. BUT, I’m determined to have a productive day and spend lots of time with my boys in the process! Speaking of my boys, I wanted to share something special with y’all that’s been in the works since before Christmas. We partnered with one of our very favorite brands ever, Pottery Barn Kids, to share 10 must-haves for a baby registry. The project was so much fun, even Boonester loved it! We made a video that you can watch HERE, and were featured on the PBK blog HERE. Y’all know that I never pretend to be an expert on anything, let alone baby stuff, but I hope this helps anyone who’s currently expecting to make the registry process a little bit easier. I know firsthand how stressful it can be preparing for a new baby and being clueless as to what you’ll need. 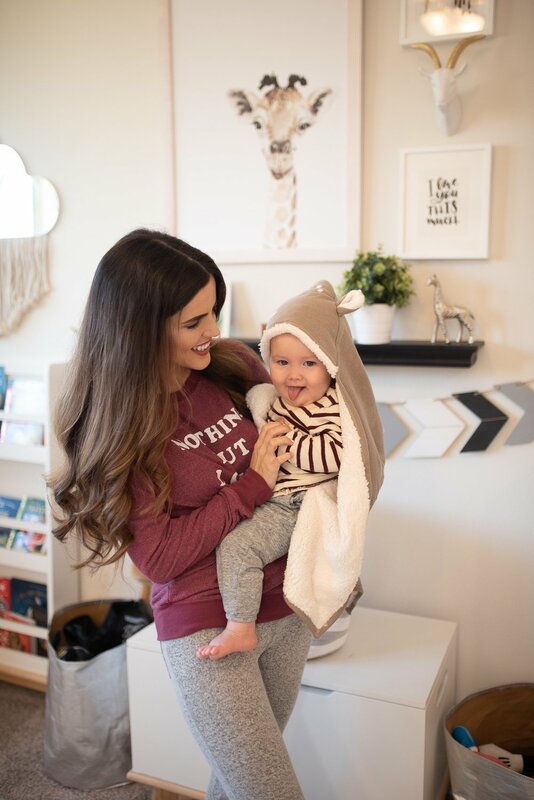 We truly love Pottery Barn Kids products and while I have worked with them quite a bit now, PBK was one of our favorite places to shop long before that. I hope you’ll check out the post and that your week is off to a great start! What did you think of the big game? And more importantly, the halftime show? I’m a big Maroon 5 fan but honestly, found the show to be lackluster at best. At least the commercials were good! And of course the snacks.